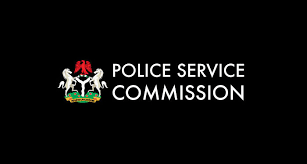 After a long silence, The Police Service Commission decided to reawaken the teeming number of unemployed Nigerian youths who dream of making it into the Nigeria Police Force. They started by sending e-mails to applicants instead of SMS, which they can readily access. Out of the over 911, 438 that applied for the job, only 110, 469 are invited for the second round of the screening exercise. The Chairman of the Commission, Mr Mike Okiro at a news conference in Abuja on Friday said that 22, 454 were shortlisted for cadet ASP, 24, 456 for Inspector cadet and 63, 599 for Police Constables. Remember that: The Commission placed the number of vacancies at 10, 000 only for the three cadets, so more hard work is needed. Aptitude test for Police Constables August 24, 2016. If you applied for this job and went for the first screening, quickly check your mail so as not to be left out. Please share this post as it can be beneficial to someone.